Thamudic petroglyphs have made Jubbah city host to one of the biggest and richest rock art complexes in the kingdom and the wider region. 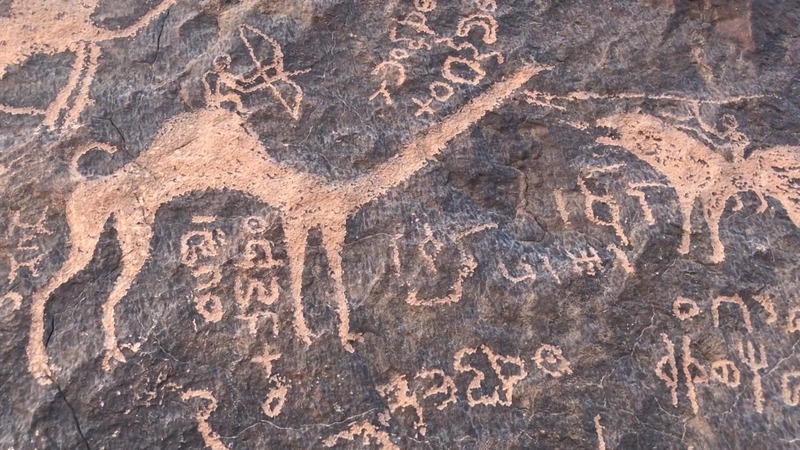 The rocky mountains of Jubbah city in Saudi Arabia are repositories of the lifestyle, the evolutionary phases and the language of the Thamudites — the men and women who lived thousands of years ago in the area. 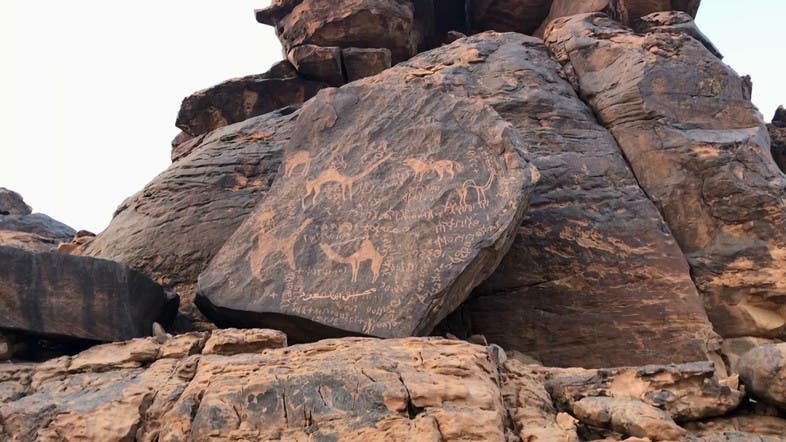 Their writings and drawings on rocks have made the city host to one of the biggest and richest rock art complexes in the kingdom and the wider region, according to the UNESCO World Heritage. The Thamudites were a group of tribes that inhabited a city west of the Arabian Peninsula, and according to Islamic traditions lived in the age of prophet Salih. They went through many phases of development, as is evident from their petroglyphs, like the phases of grazing, farming, and trading. The inscriptions also show their forms of entertainment and lifestyle — such as their drawings of people dancing. Thamudic drawings of people dancing. 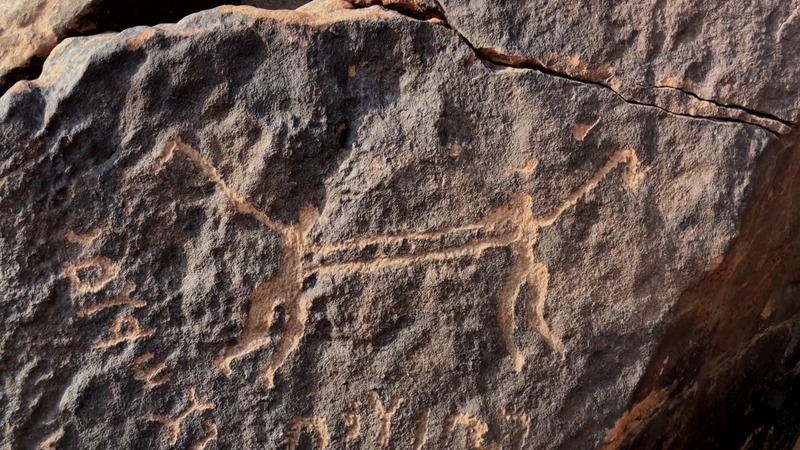 Their petroglyphs show numerous representations of human and animal figures covering thousands of years of history. The universal value of this rock art, according to the UNESCO World Heritage, lies in the exceptionally large number of petroglyphs, created by using a range of techniques that employed simple stone hammers against a background of gradual environmental degradation. These are visually stunning expressions of the human creative genius. 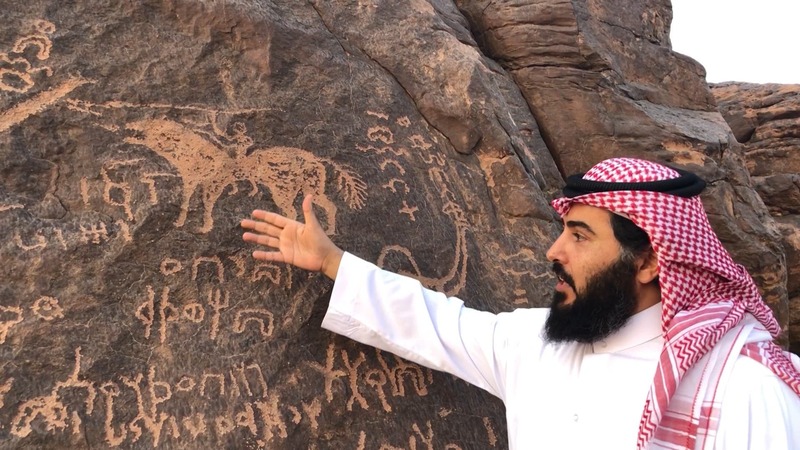 Saudi historian and Thamudic-era specialist Mamdouh Mzawem spends a lot of his time getting to know new characters by moving between the mountains of Jubbah city, which is located in northern Hai’l. He reads scripts, analyzes drawings, and discovers new characters. “I have documented 58 scripts of one of the Thamudites who lived in Jubbah, with full details and pictures. I have read his autobiography,” Mamdouh told Al Arabiya. Saudi historian and Thamudic-era specialist Mamdouh Mzawem. 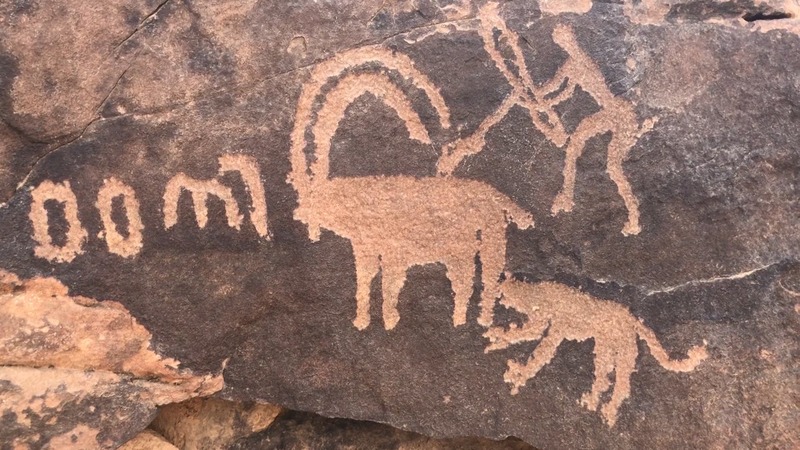 One of the characters is Hajjaj the Hunter, a man who was famous for hunting lions, mountain goats, and Arabian oryxes. His tools were: A shield, a spear, and a bayonet (a sword-like stabbing blade) in addition to his sturdy physique. According to Mamdouh, his best works document hunting and some of them include prayers as well. Petroglyphs by Hajjaj the Hunter. Petroglyphs by Ken son of Tal.